(LEWISTOWN, Mont.) 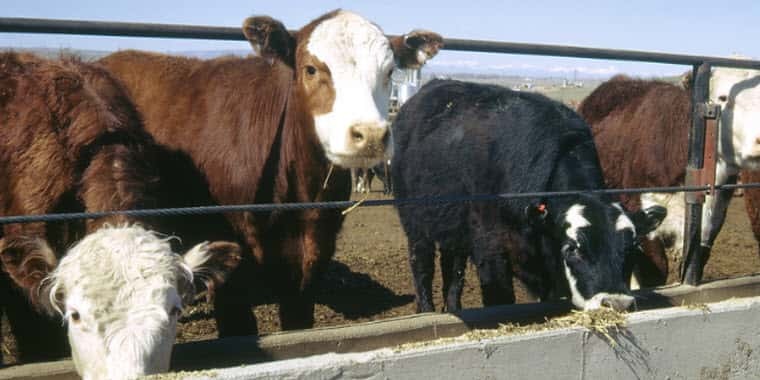 – A report that will help the Bureau of Land Management (BLM) analyze a proposal to change grazing allotments in north central Montana held by the American Prairie Reserve (APR) has been released. APR controls private properties tied to 18 BLM grazing allotments in Chouteau, Fergus, Petroleum, Phillips, and Valley Counties. The APR’s stated intent is to build a 3.5 million acre nature reserve using about 500,000 acres of private land and 3 million acres of public lands, much of which is BLM-managed. The APR has submitted a proposal to change the class of livestock from cattle to bison; allow for season-long grazing; fortify existing external boundary fences by replacing the second strand from the top with an electrified wire; and remove interior fences on all 18 permits. The BLM held meetings in Winnett, Winifred, Malta, and Glasgow last spring during a 2-month scoping period to seek public recommendations on topics the BLM should consider in its environmental analysis. “The BLM thanks the public for submitting these scoping comments. Your input is a valued part of this Environmental Assessment process,” said BLM North Central Montana District Manager Mark Albers. Based on the substantive comments received, 24 summary issue statements were developed. The BLM will consider and refine these issue statements, in conjunction with those developed by the BLM’s interdisciplinary team, in determining the final set of issues to be include in the NEPA analysis. The BLM anticipates preparing an environmental assessment that is focused on the key issues and meets the legal requirements of NEPA and is in accordance with DOI guidance on streamlining the NEPA process. The public will be notified once the environmental assessment is complete. 1. How will the presence of bison on BLM-managed lands impact public safety? 2. How does the behavior of bison differ from cattle in terms of forage requirements and patterns of movement? Are the allotments of sufficient size to accommodate bison behavior? 3. How will the BLM ensure that the appropriate number of AUMs are permitted for each allotment and that the stocking rate stays within permitted levels? How would AUMs be managed if forage is reduced (e.g., during periods of drought, after wildfires, etc.)? 4. Without a pasture rotation system, how will the BLM ensure that BLM Montana Standards for Rangeland Health are met? This includes the condition of rangeland vegetation, soils (stability and health), water resources, and wetlands and riparian areas. Specific vegetation concerns include species composition, biodiversity, distribution, succession, and grassland heterogeneity. How will the BLM monitor for rangeland conditions and adaptively manage if conditions are not meeting standards? 5. What procedure and/or guideline will the BLM incorporate into management of Woody Draw and Cottonwood Galleries (for which there is not a specific standard)? 6. How will APR’s proposed action impact stock water rights? 7. How will invasive weeds be monitored and managed within the allotments? 8. How would single pasture, year-round grazing impact prescribed burning and/or wildfire? How would potential rest or restoration following disturbance be implemented in a single, year-round grazing system? 9. How would APR’s proposed action conform with the terms of the conservation easements held by Montana Fish, Wildlife, and Parks on Carpenter and Burnt Lodge allotments? 10. How will potential diseases, such as brucellosis, in APR’s bison herd be monitored and managed? 11. 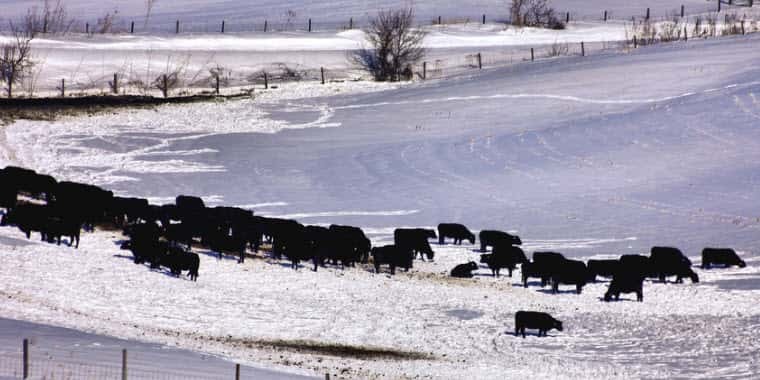 How would single pasture, year-round grazing impact habitat conditions (including winter range) and forage requirements for fish, wildlife, and special status species? 12. How would the proposed changes in fencing (removal or construction; electrification of external fencing; conversion to wildlife-friendly standards) impact wildlife, including their migration patterns? 13. How will the BLM ensure that proposed changes in fencing can be maintained and internal pasture fencing added, if range conditions warrant? 14. Is APR’s proposed external fence design and fencing locations sufficient for containing bison? 15. How will shared fence lines between the APR and its neighbors be managed? 16. Would additional range improvements be necessary to effectively manage bison in a single pasture. If so, how would these developments impact visual resources? 17. Do the allotments possess sufficient winter forage to support year-round grazing for the permitted AUMs, as well as forage for other wildlife species? If not, how will supplemental forage be provided and is it feasible to do so? 18. How would fencing improvements of changes impact wilderness study areas or lands with identified wilderness characteristics? How would the proposal impact the objects and values identified in the Upper Missouri River Breaks National Monument proclamation? 19. How will electrified external fencing impact access for recreational opportunities, including river access? 20. How will single pasture, year-round grazing impact opportunities for hunting? 21. How would implementation of APR’s proposal impact the local economy? How would it impact local custom and culture? 22. How would the implementation of the proposal impact tribal interests in the area? 23. How will the individual characteristics of each allotment be considered? 24. How would implementation of AP’'s proposal impact neighboring and in-common BLM grazing permittees?